Lot:2082 1850-O Liberty Head Double Eagle. Winter-1. EF-45 (PCGS). 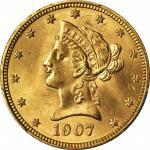 1850-O Liberty Head Double Eagle. Winter-1. EF-45 (PCGS).A handsome honey-gold example with considerable luster remaining for the assigned grade. Boldly defined. The perennially popular 1850-O is the premier double eagle from the Louisiana branch mint. 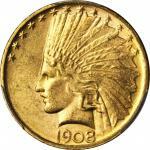 A mintage of 141,000 pieces for this issue is considerably lower than the 1,170,261-coin mintage reported for the Philadelphia Mints circulation strike delivery of the year. 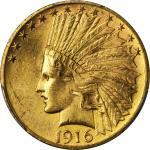 This began a trend that would continue throughout the early New Orleans Mint double eagle series of 1850 to 1861. While the vast quantities of gold that flowed east from California provided the bullion for double eagle coinage at both the Philadelphia and New Orleans mints, the majority of this precious metal found its way to the Northeast rather than the Deep South.pThe 1850-O is one of the more challenging early date New Orleans Mint double eagles to collect. Survivors are rarer than those of the 1851-O and 1852-O issues, and most are well worn in grades such as VF or EF. 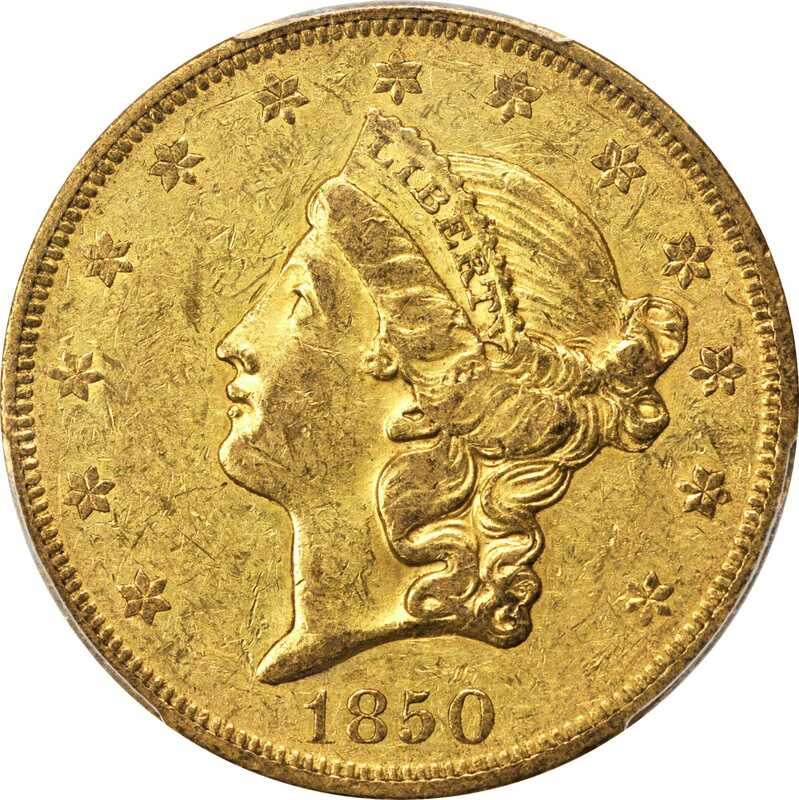 As with the Philadelphia Mints issue of 1850, the 1850-O saw extensive use in domestic circulation, primarily in regions west of the Mississippi River where gold coins were a preferred medium of exchange. Other examples were exported, primarily to London, where they were eventually melted. With its first year status resulting in particularly strong demand among mintmarked gold type collectors and New Orleans Mint enthusiasts, this handsome Choice EF 1850-O double eagle is sure to see spirited bidding at auction.From the Fairmont Collection.